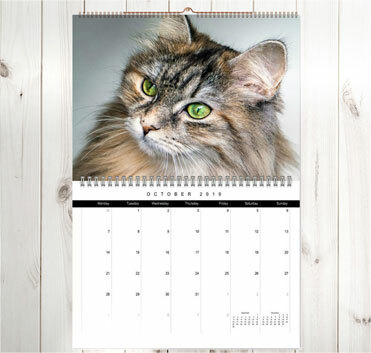 A beautiful Italian lady named Bianca is our featured Siberian kitty today! 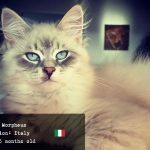 🙂 She is two years old and lives in Modena! 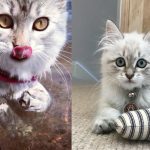 Follow her on her Instagram account at @siberianbianca! 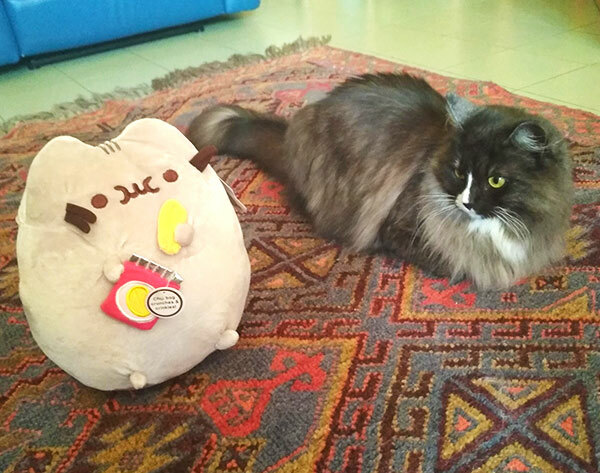 What is the name of your Siberian kitty? 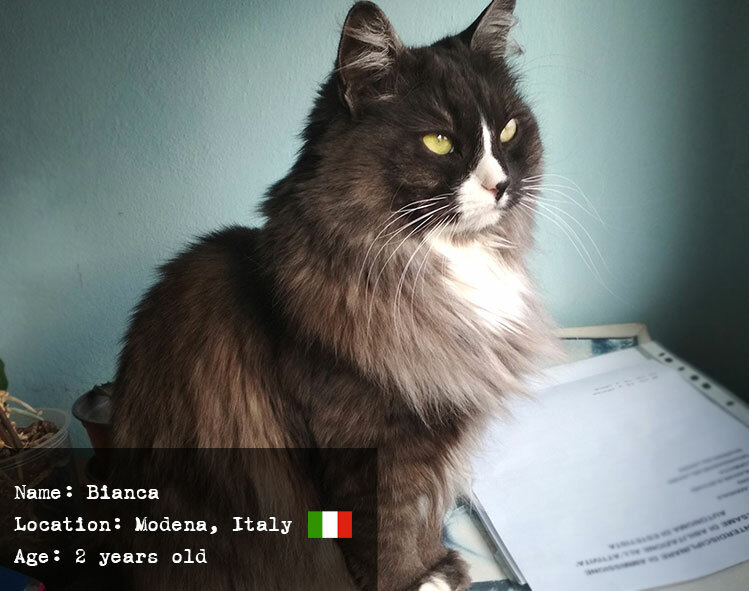 My kitty is named Bianca, the name was chosen in the fosterage where she was born: she’s from the second litter for the breeding of origin. 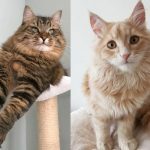 How did you decide to have a Siberian cat and why? 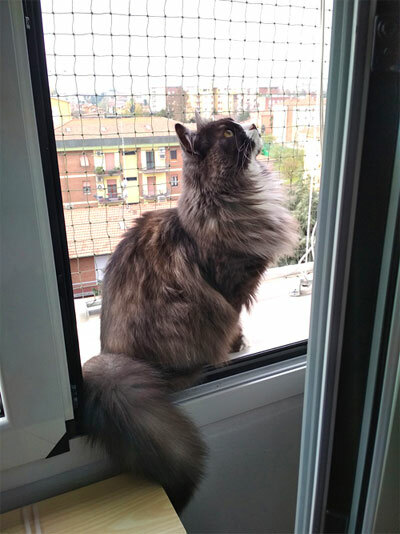 We’ve decided to have a Siberian cat because my mother is severely allergic to animal’s fur, and after some online research she found out that Siberians are hypoallergenic! And when our cat passed away we’ve decided to adopt a Siberian kitten. What are Bianca’s favorite toys or games? The favorite toys? When she was younger she loved the candy envelope, bouncing balls, and even feathered rods! 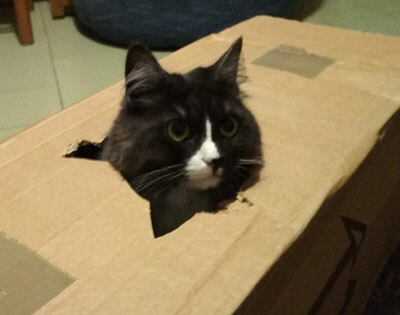 But now her favorite toys are a cardboard box where she usually chills and chews when hungry, with several holes, where we can put some stuffed toys or a pink ribbon that was part of my Christmas present! She loves to hunt it down and chase it all around! 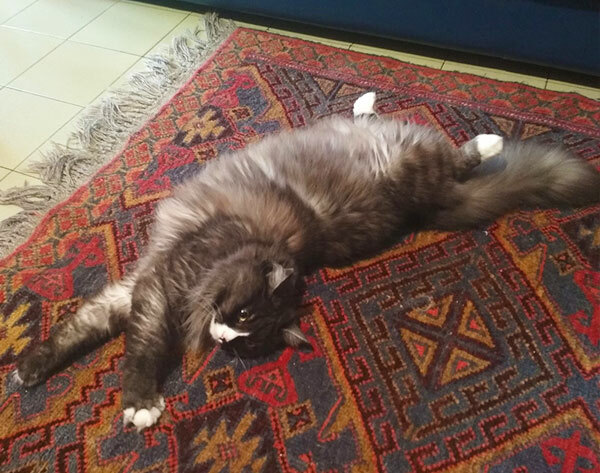 What does your Siberian love doing most? Is there a funny story you could tell us about Bianca? I have a couple of funny stories to tell, and the first that comes to mind is related to our neighbors: they have a big sized dog, named Romeo. He’s very playful and kind with everyone! 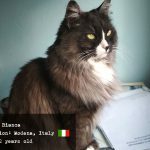 The first time that Bianca met him she tried to figure out who he is, and after a little Romeo suddenly jumped over his paws and ran to eat her whole food bowl! Since then, he looks for Bianca’s food each time he comes to find us. The second one is related to a hide and seek play that she does from time to time: she tries to take an ambush on us, moving really slowly! But my boyfriend surprised her first, and she ran away very fast! 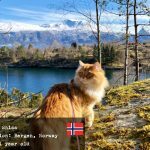 What would be the thing that you love most about your Siberian kitty? 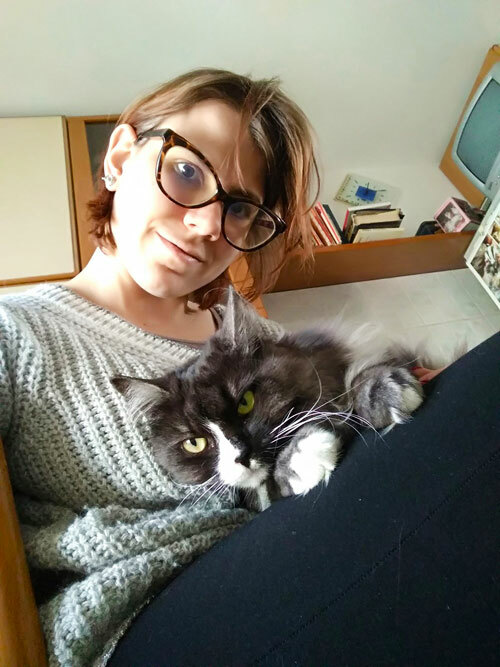 I love her natural fluffiness, and her kindness: she loves me as much as I love her, and I also adore when she greets me every time I open the door of my house! She’s very special for me! 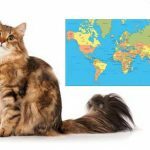 What are the good sides of having a Siberian cat? 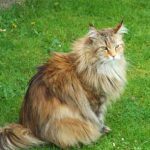 What’s bad about having a Siberian cat? 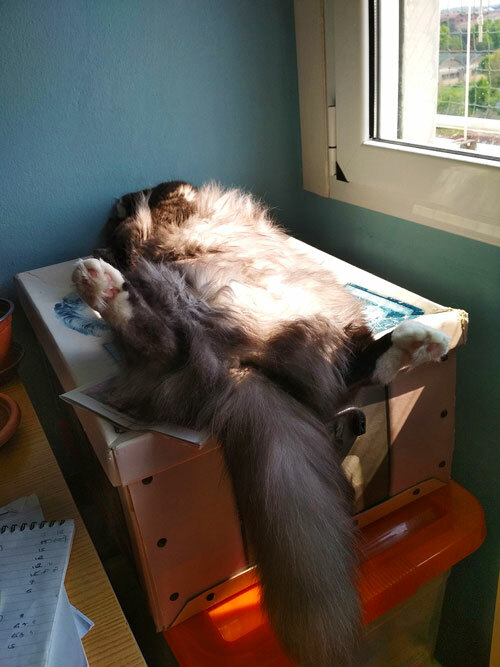 Unfortunately, the downsides are related to the weather: when it’s too hot she suffers from it very much, and just lays on her back in search of some freshness, that I cannot provide everytime she needs it. 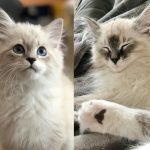 Does your kitty shed much and how do you deal with it? 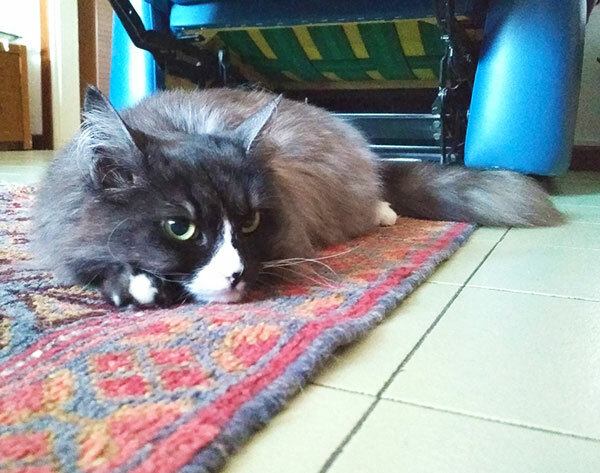 Fortunately, Bianca doesn’t shed much, but we have to brush her two times a day when it’s hot outside, otherwise when it’s cold we brush her one time in two days. 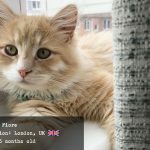 Do you travel with your cat? 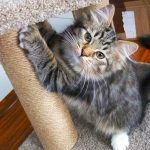 How do you go about vacations – do you leave your cat with a pet sitter? Bianca has never travelled since we’ve been together, we took her only to the vet. 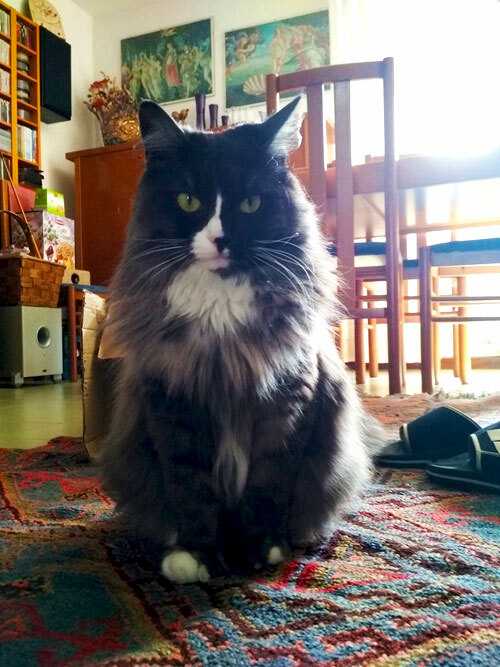 When I’m on vacation she stays at home, with my parents, neighbors or friends that from time to time check if it’s all ok, and to feed her! 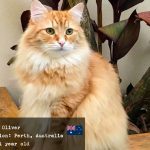 Would you recommend other people to have a Siberian cat, why or why not? 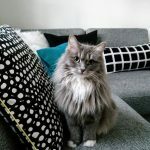 I would highly recommend a Siberian cat because they are loyal and very kind. Also, they are very smart!